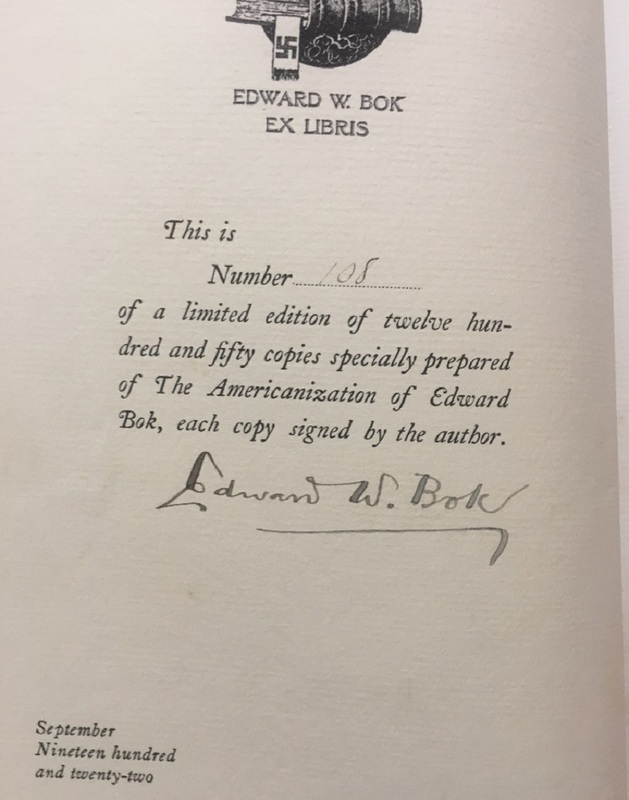 Edward Bok – limited edition signed of his autobiography, a classic on early autograph collecting. 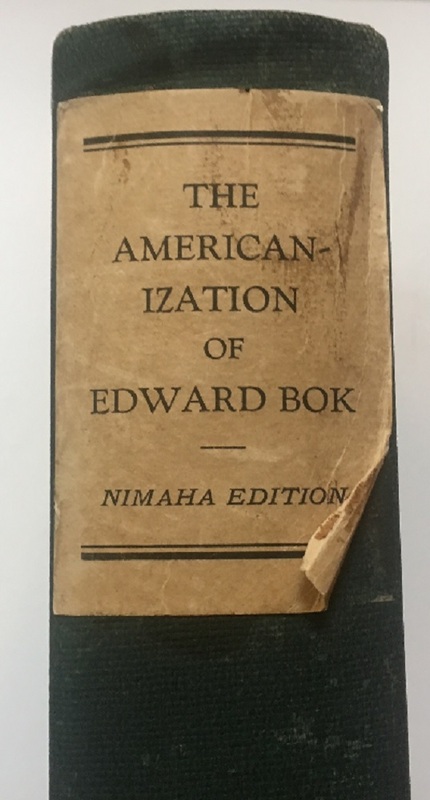 This is #108 of a limited edition of 1,250 copies, 1922. This is a very good copy with some pages uncut and tight binding. The paper label is lifting at one corner.